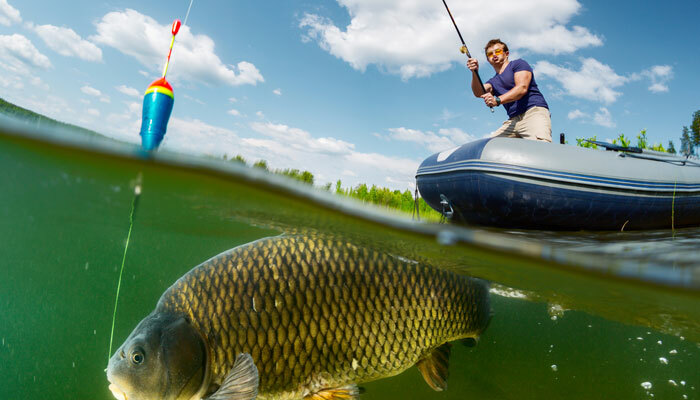 Have you ever tried to catch a fish without a hook? Me neither, and unless you have mad skills like the guy on Man vs. Wild, the one who can weave together a trap out of a handful of weeds, I’m betting it’s pretty hard. This the analogy that goes through my mind whenever I see a great blog post with the wrong call-to-action (CTA). There’s nothing wrong with these offers on the surface. The problem is too many marketers are using the wrong CTAs at the wrong time, and it all begins with context. When someone reaches the end of an article about how to identify phishing threats, then sees a call-to-action inviting them to read another blog post, we’ve probably lost a chance to connect with him or her. Offering links to related topics isn't bad, but it doesn't help you reach your goal of converting the visitor into a lead. When someone reads your blog, you’ve already captured their interest. The next step is to offer a solution to a specific problem, and do it in such an amazing way the visitor will volunteer some personal info that lets you keep in touch. For example, what’s the best thing you could offer to a business owner reading the article about phishing threats, something that would help her put this knowledge to use? You could provide a training manual she could send to employees, including a quiz to prove they’ve learned the material. The blog article helped your visitor learn about a risk she wasn’t aware of. You gave her a turn-key tool to train employees with. You earned her trust and the privilege of establishing a relationship. This is how expert marketers generate and nurture leads. Instead of annoying people with self-promotional content and spammy email offers – you gain their trust by providing real value, helping them solve the little problems until they hire you to solve a big one. CTAs are effective when they are concise, value-driven, and inspiring. This is copywriting in its purest, most powerful form. Every word counts. Submit – Does anyone really want to “submit” to something? Click Here – We can do better than this. No Spam – Why bring up things people hate? 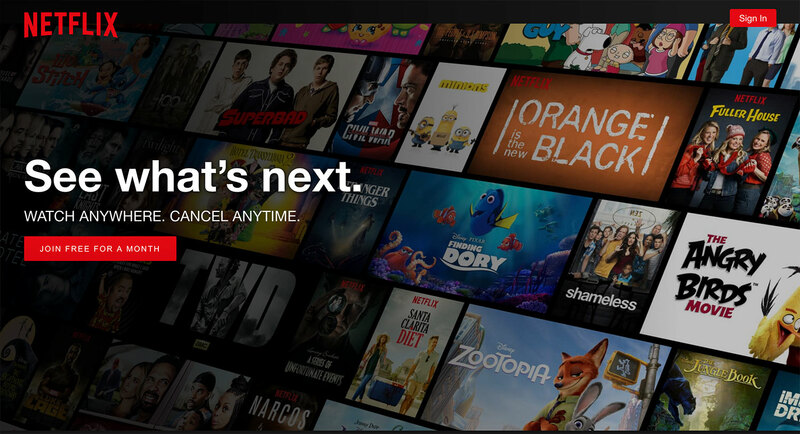 Check out this awesome CTA Netflix is currently using on their homepage. They've discovered people who haven't signed up for their service are afraid they will face a hassle when trying to unsubscribe. Netflix has two magic words for them: "Cancel Anytime." I'll bet it works like a charm. 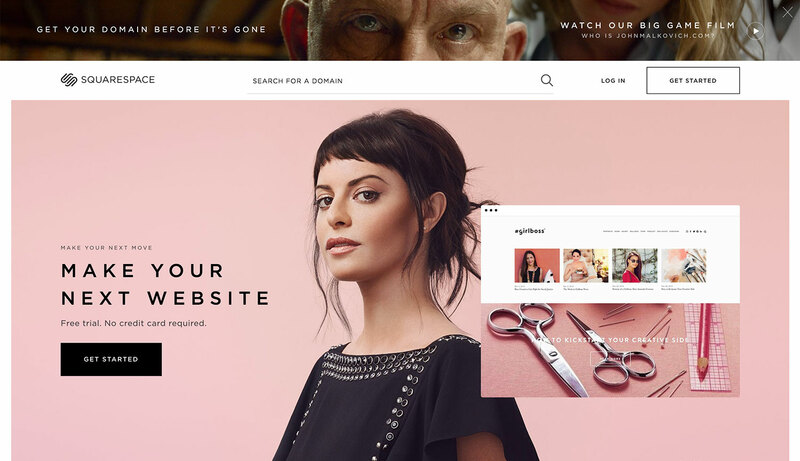 Squarespace also has a good thing going here. "Free trial. No credit card required. Get started." What more could a visitor want? The Advantage Of "Smart CTAs"
Smart CTAs are like CTAs on steroids. They allow us to present a different message to a visitor, based on the list he or she belongs to in your “Contacts” list. For example, someone visiting your website for the first time isn’t on any list. He’s looking for some basic information, not ready to buy anything yet. A CTA offering a free tip sheet catches his eye, and he fills out the form and automatically joins your “Leads” list. Smart CTAs are a powerful marketing automation tool. It lets you to set up conditional logic that recognizes where visitors are in your sales funnel and presents an appropriate offer that keeps them moving forward. This is just one of many advantages you get with a content optimization system (COS) like HubSpot. The platform helps you nurture leads by using data about individual user behavior and presenting custom-offers to that person. The important thing to remember with CTAs is they require experimentation. Your first offer may not resonate with people. That’s okay. Try another one and see if it performs better. The golden rule is to keep listening to your audience and stay in tune with their needs and desires. If you continue putting out great content that answers those needs, they will respond eventually.